Hello world! Wow, my own blog! Well hello all, this is my first time blogging. I am having a hard time with this, I have deleted my post several time and started over. I have a business I have started myself out of what I would define as personal necessity. I like many people was dissatisfied with my normal 9-5 job. Actually where I was working in Canada recently, that had become a 8:45 till 5:30 job. You see that’s my original problem. A long time ago when the earth was green my forefathers in Canada, when they worked 9-5 they actually got a one hour lunch break. They worked 7 hours in that day, and got to digest their meal. At my last job, we were expected to work an eight hour day, so the 30 minute lunch and the 15 minute break had to be made up for at the end of the day. We all have our gripes about the system, or as I jokingly refer to it, as “The Man”, as do many many others. Anyhow this blog will be probably be mostly about me trying to escape “The Man”, as I no longer can fit into his system. Many others in this world are currently competing with me to do the same thing. Let me tell you a bit about myself so you can maybe understand my choices here. I was a commission electronics salesman when I was 18 until the age of 23. I did very well at it. I became the top salesman in the 150 person company after the first 2 years, and remained that way. I got to know the owners and was promoted to a manager after the third year. I did well at this also and was promoted to a sales trainer for the company. Unfortunately I had a nasty breakup with the woman I loved because of this work. Once I became a sales trainer I was traveling quite a bit, and my love didn’t understand unfortunately. Once my heart was broken, I was depressed, and soon quit my job. Little did I know that this was the best job I was ever going to have to date, 15 years have passed since then, I am now 37. Anyhow after leaving my job I took another commission job for a short time with a competing firm, I didn’t like it very much. So I decided to go traveling. I spent the next two years backpacking around Asia, I experience things I wouldn’t have normally experienced in a lifetime, then eventually returned home where I got a position in commission electronic sales again. I had itchy feet, I was not content with florescent lighting for most of my day with flashing electronic panels and LEDs for my view. After being away for two years traveling around India, Sri Lanka, Nepal, Thailand, Malaysia, Singapore, Laos, Cambodia, Vietnam, The Philippines, Indonesia, Australia, and Japan. I was not happy with my life back as a regular Joe back in The West. Also my time away had changed me in ways people back home couldn’t understand. My friends had mostly moved away, or gotten married etc, and I just didn’t see them very much anymore. So off I went to Korea for a year to teach English, after that I went to Japan for a year to teach. Having saved a bit of money in Japan I decided to go back to Canada to study computer programming. I went to CDI College in Vancouver and took a Two Year Course. I finished in just under a year. My average for the the 12 or so courses was 97%. Let me just say I barely passed high school, I skipped a third of my last year and was thankful they didn’t expel me. I am a horrible speller, and I am probably too lazy to ever create a great game or something which was my dream when I was 29. And although I can absorb books easily, I am not able to have much of a conversation most of the time. I looked for work in Canada for six months, I applied everywhere I wanted to work. I even had a few interviews for what I would consider dream jobs, but no one called me back. I am not really sure why this was. I think it was probably because every job required two years experience and I had none. Since it was impossible to get two years experience when no one would hire me, I gave up. I ran off back to Asia, Thailand actually, i brought my computer and packed it around, this was a full desktop PC with a monitor etc, not a laptop. I worked and worked and worked, and actually made two games. They were alright, just 2D scrolling action games. Also during this time I had managed to marry a woman I had known from Japan and we were expecting a baby. I took my games back to Canada and went to work for a friend of my family as a programmer, however they never gave me a start date, after the interviews. After a month I finally received the answer that for some reason I didn’t get the job. I returned yet again back to Asia, as my wife missed me and we were expecting our child. After the usually nine months of wait, we had our lovely son Nicholas. I moved back to Canada again with my wife and son, and worked as a commission salesman again, in the car industry. Yes I was a car salesman. Selling Cars isn’t really all that bad. But there are a lot of greedy people in this world, and big commission sales really brings out the worst in them. After selling cars for three years and doing very well at it. After the second fist fight I was in over a commission that another guy though was his. I should mention I am not large of stature, so I was getting bullied occasionally by the large salespeople, it is in my nature to refuse to be bullied, basically I wouldn’t stand down, and neither would they. Hence the senseless fighting for money, sad sad. Very depressing. I gave up selling cars, and went to work in a technical support firm for HP. I actually enjoyed this work very much, I mean the job itself was pretty horrible, but the people I worked with were great. The pay from this, was not enough to support the family. My wife missed Asia and wanted to move back there very badly, and I missed it as well. Anyhow here I am now, currently in South East Asia, though I have just come from Laos and will be going to Malaysia in a week. I started this because Items on this side of the world are surprisingly less expensive than the exact same item can be purchased in the Western World. In fact retail here is generally less than wholesale is in the west. I want you to understand something. I can buy items in Asia, before it is shipped to western countries, and dutied and taxed etc, and handled by lots of high paid people until that item has become very expensive for the retailer to sell. I will be off to China soon to see some manufacturers also. I am trying to bypass that system. I am the little guy here trying to find a way to make money in this big world, on the Internet. Competing with Big Box Retailers, and huge established companies etc (aka The Man). Speaking of `the Man`I have recently had a battle with a large company, actually one of the top 100 in the world I believe, over the sale of one of my joke t-shirts. The man is keeping me down. I wont say more right now, I fear if I do `The Man`will take his giant thumb and squish me until I can no longer talk. 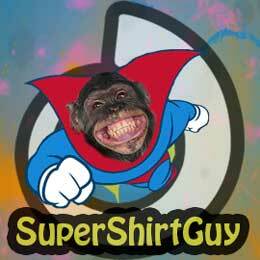 That particular shirt was 80% of my site traffic, I removed the shirt to avoid a legal battle with a huge company I couldn’t afford to win, and am currently without customers to view my site. Anyhow, I will try and talk more later, I seem to be rambling on without point at the moment. Thank you for taking the time to read.